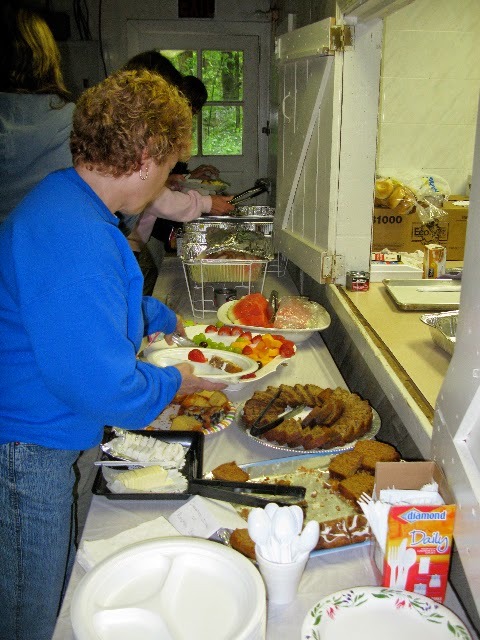 Stop in tomorrow morning starting at 9 AM to the dining hall at the YMCA’s Camp Blanchard for the MPF’s SPRING SOCIAL to chat with lake friends and neighbors over a cup of coffee and a delicious breakfast buffet. This year we’ll have the excitement of the reverse drawing of our Big Spring Raffle where the losers are drawn first! See who will take home either a 55″ Bose home theater system or $4,000 ca$h.MPF t-shirts and more will be available, the water quality exhibit will bring you information on the latest grant project, rain gardens, and more, and all members who have paid their dues will receive a complimentary flare for use during the Lighting of the Shoreline July 3rd! All are welcome to join the Manchaug Pond Foundation to be part of the effort in the preservation of Manchaug Pond! Sign up for a committee, offer a new idea, or just come in to say hello! A special thanks to our Events & FUNdrai$ing Committee for organizing.